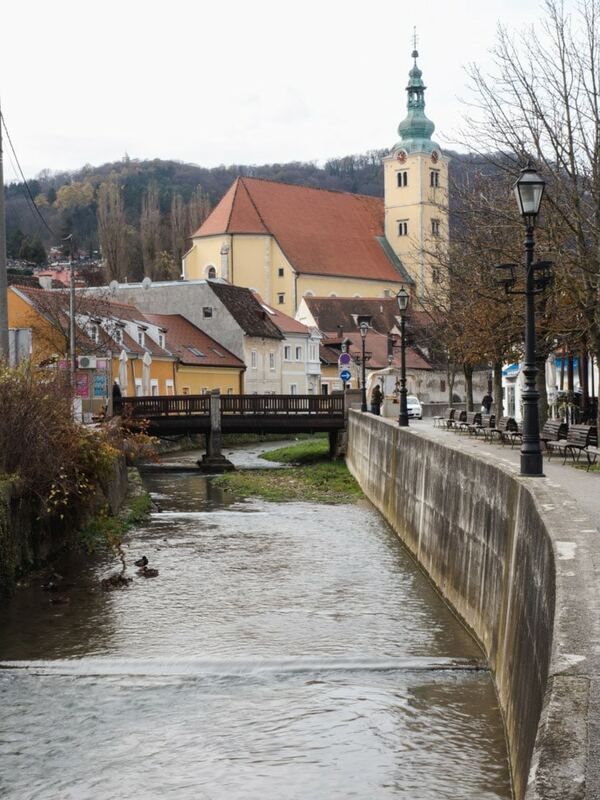 Samobor is a small city near Croatia’s capital, Zagreb. Here they are famous for a dessert, but if you come for the dessert you will leave with memories of much much more. Friendly people, stunning nature, from the Gradna river flowing through town to the nature hikes in the hills and a beautiful Old Town. 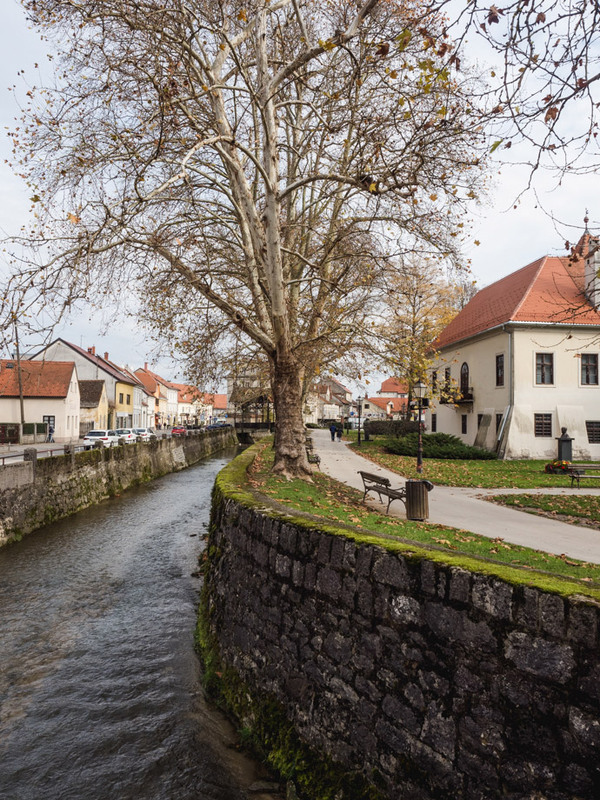 If you’re looking for the best Zagreb day trips, Samobor is the perfect full day or half day trip from Zagreb. 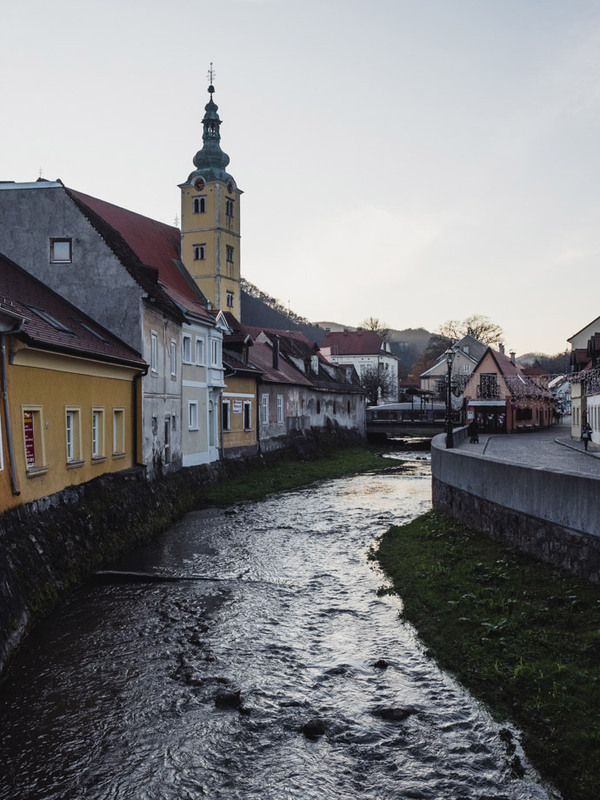 Here is everything you need to know before your Samobor day trip, including things to do in Samobor, where to eat in Samobor and how to get to Samobor Croatia. 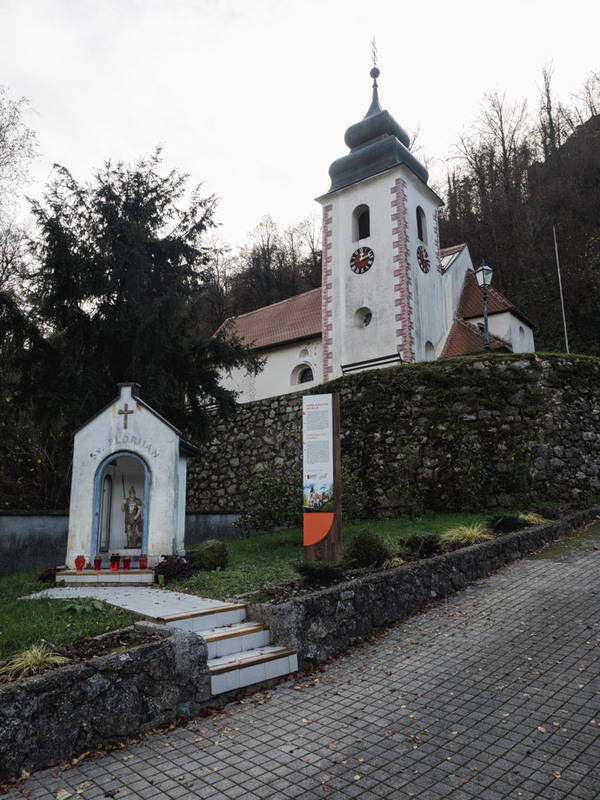 Getting to Samobor from Zagreb is really straight-forward, which is another reason to do a Samobor day trip. Samobor is only 20 km from Zagreb. 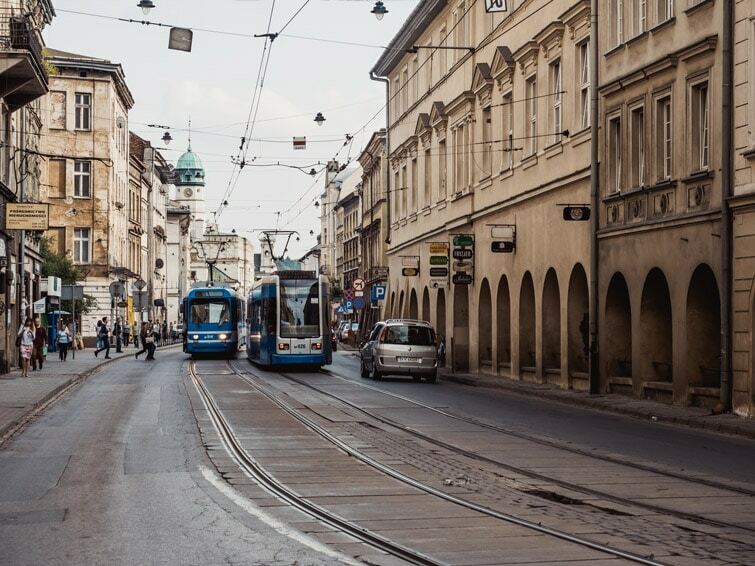 First, make your way to Zagreb Bus Station, in Zagreb city centre. You don’t need to buy your bus ticket to Samobor in advance. You can either buy them straight from the bus driver or at the ticket office upstairs in Zagreb bus station. If you buy your ticket from the driver, it is 28 kuna per person, cash only (only coin change). If you buy it from the ticket office, it will be 31 kunas per person but you can also pay card. We purchased our tickets at Zagreb bus station ticket office as we were headed there to ask what platform to go to for the Samobor bus anyway. On the day we went, it was platform 610, but I’m not sure if this stays the same. Zagreb bus station is fairly big, so make sure you leave enough time to find out where to go and get tickets. Once you are on the Zagreb to Samobor bus, it only took us about 35 minutes to get to Samobor bus station. Having said that, there were many stops with no people so I feel it could also be longer than that. On the bus timetable, it was meant to take 55 minutes. 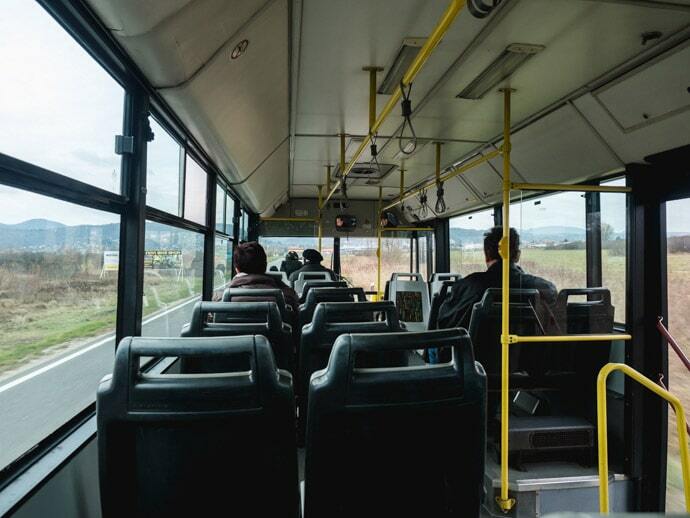 You can check the Zagreb to Samobor bus timetable here. 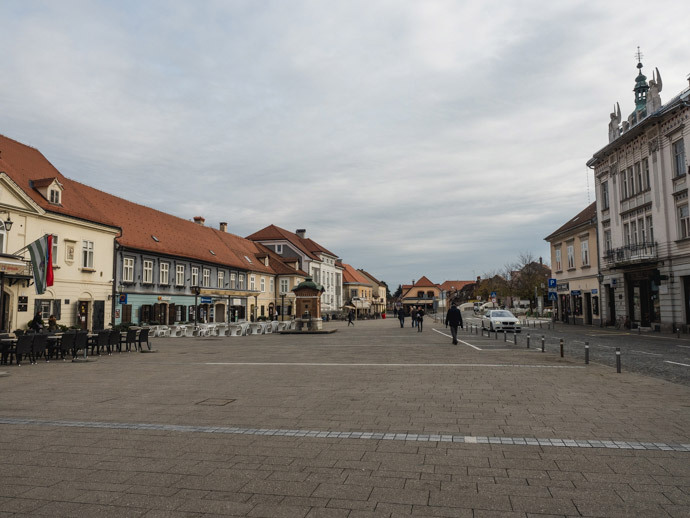 Once you arrive at Samobor bus station, it’s a 5 to 10-minute walk to Samobor Old Town. 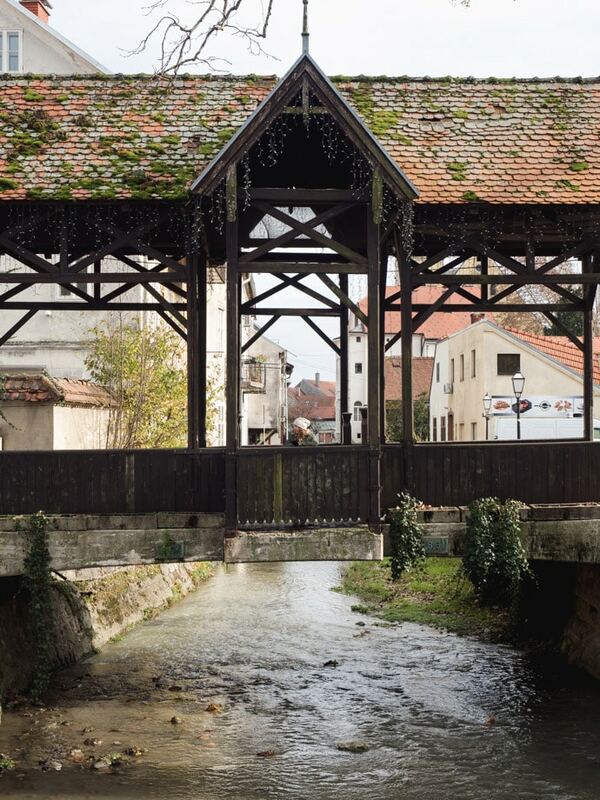 Simply cross back over the main road, and follow the river into Samobor. 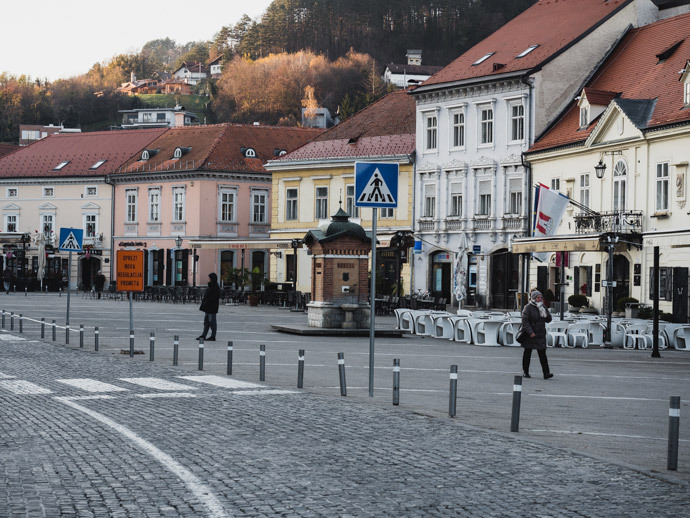 To get from Samobor to Zagreb at the end of your Samobor day trip, just walk back to Samobor bus station, and wait at the sign that has Zagreb on it. You can buy your tickets from the driver. The trip back to Zagreb took us about 50 minutes. 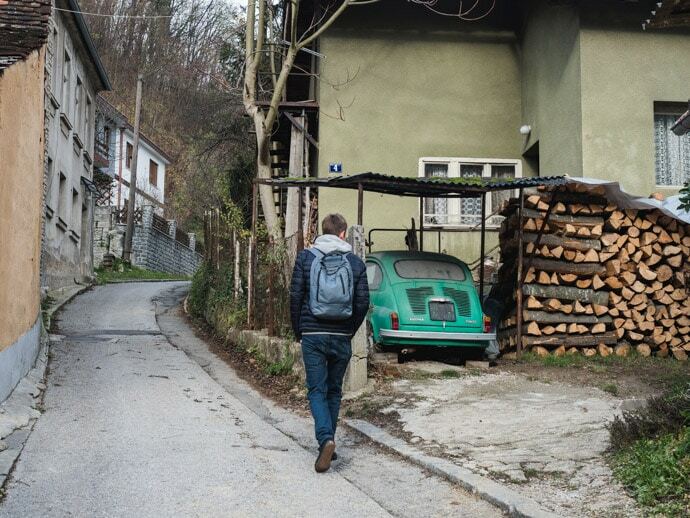 Samobor is a small city with a with a few streets to explore, dishes to try and some stunning nature hikes. 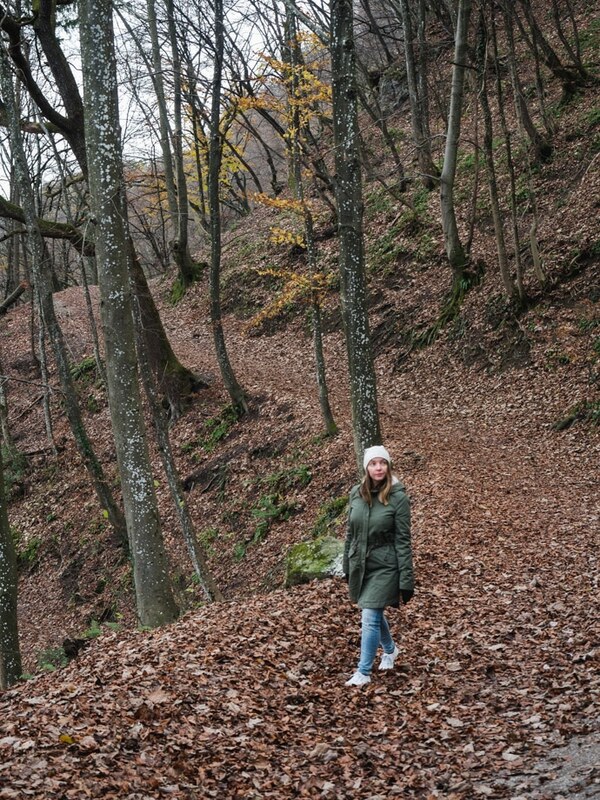 Here are some of our favourite things to do on a Samobor day trip. 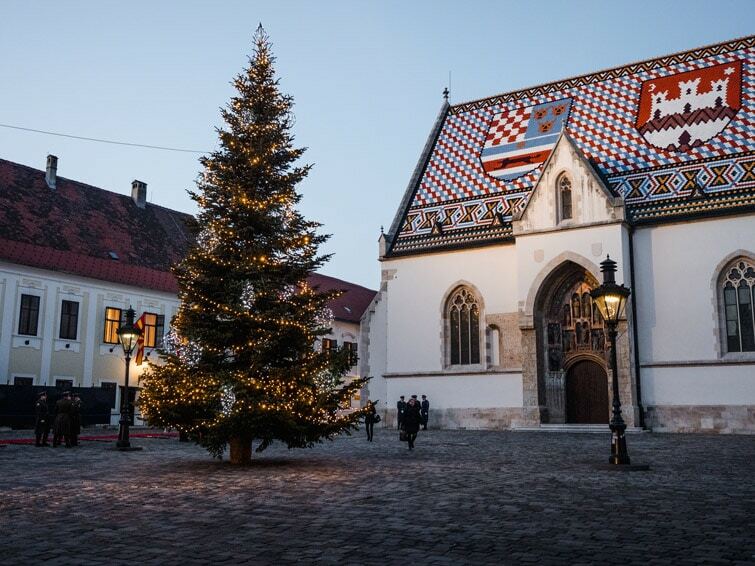 A great starting point for exploring Samobor is Samobor main square, Trg Kralja Tomislava (King Tomislav Square). This area is filled with beautiful pastel coloured buildings, cafes and shops. 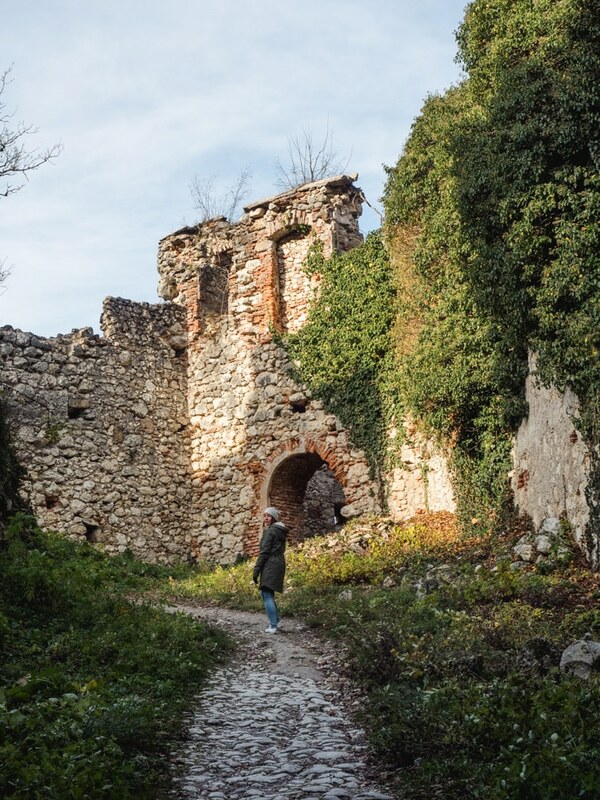 One of the best things to do in Samobor is a hike up to Samobor castle, otherwise known as Stari Grad Samobor. 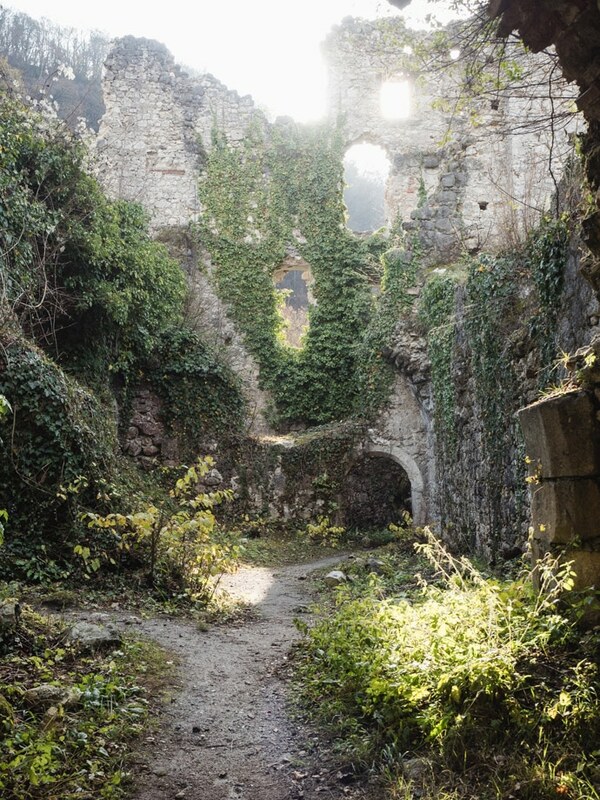 Samobor Castle, or the ruins which remain, we found really worthwhile to see. 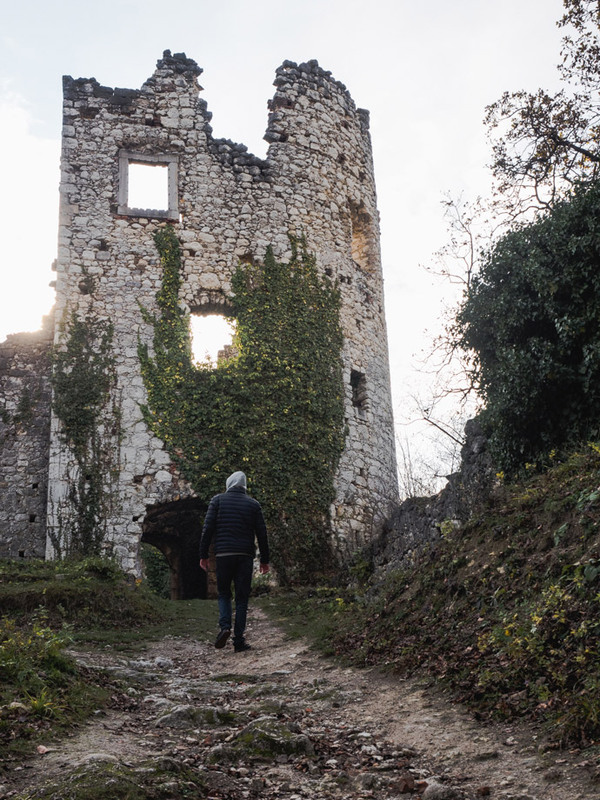 Although it’s not intact, there are many walls and structures and areas to explore within Samobor Castle. 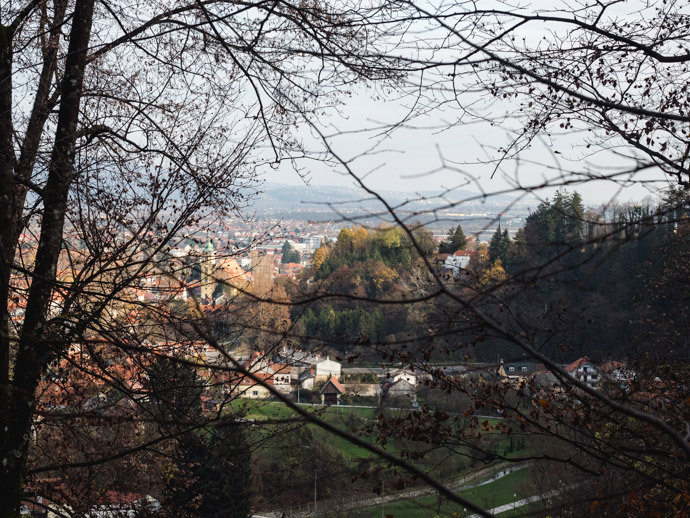 From here you can also get some stunning views of Samobor Old Town. 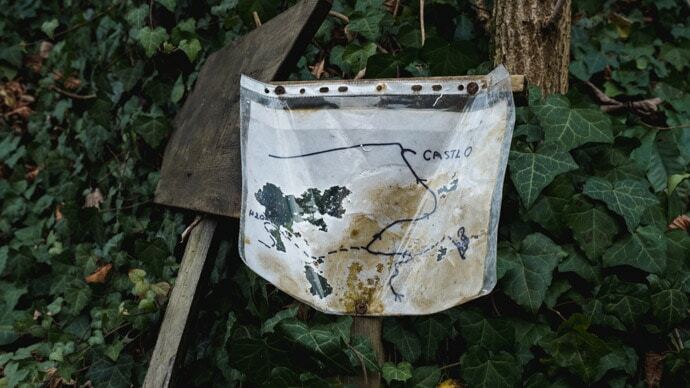 So how to get to Samobor Castle? 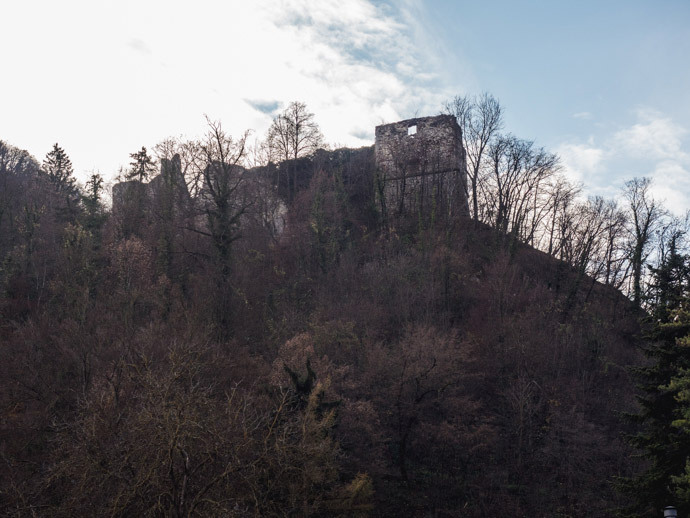 I believe there are a few ways to reach Samobor castle, but we started at the main square, followed the road along the Gradna river until just after the KRCMA Gabreku 1929 restaurant (this takes about 10 minutes). Then you will turn left, where you will see Sveti Mihalj Church. This is where you can start your hike up the hill to the castle, which you will reach in about 5 to 10 minutes from the church. 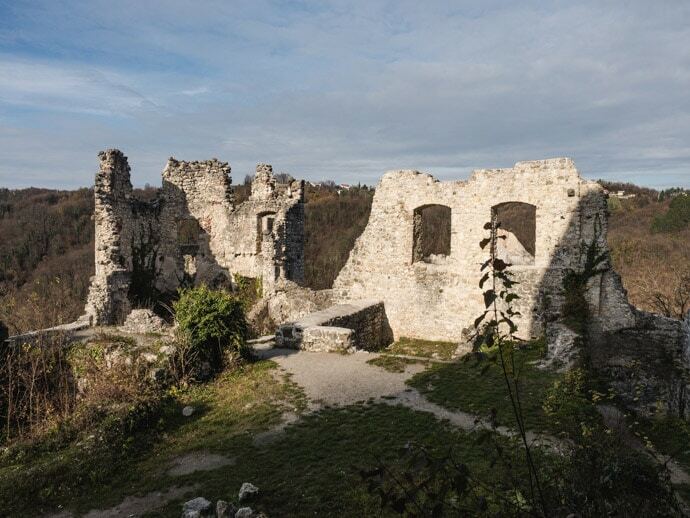 Visiting Samobor Castle is free. 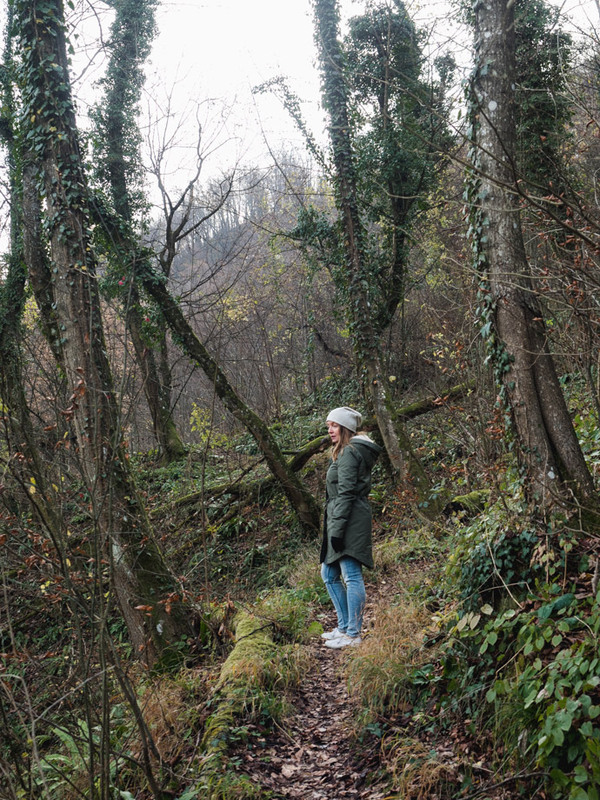 You can continue along hikes on Tepec Hill, the same area around Samobor Castle, if you want to have higher viewpoints like Tepec Vista Point. 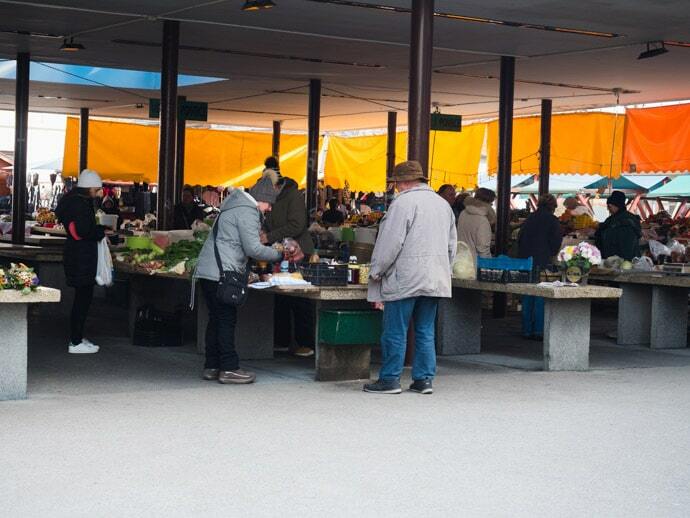 Samobor market also runs in the mornings. Here you can find the locals shopping for their fresh fruit and vegetables, bakery products and fish. It’s small but worthy of a wander through. There’s something about taking a look at the local markets that I always love. A look into daily life, all that fresh food, the community feel. The main church you will see from the Old Town Square is the Church of St. Anastasia. 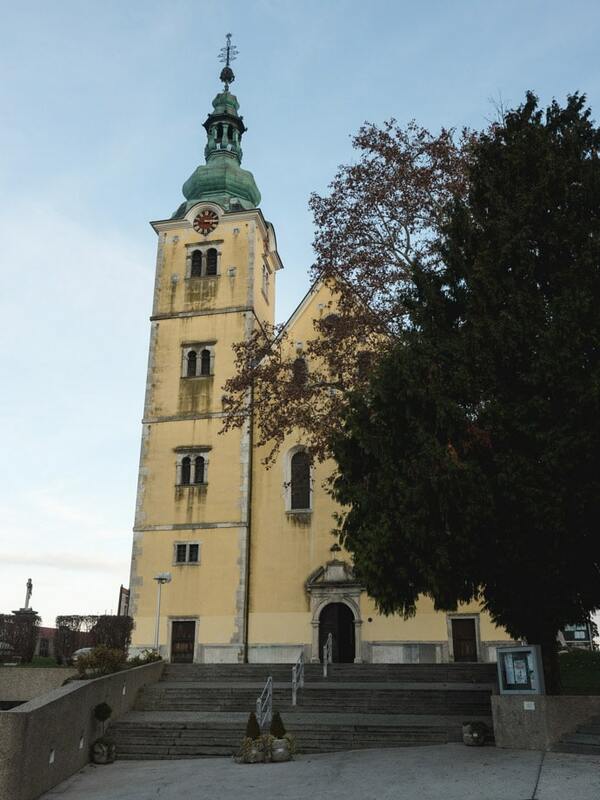 The Franciscan Church is also another beautiful church in Samobor. 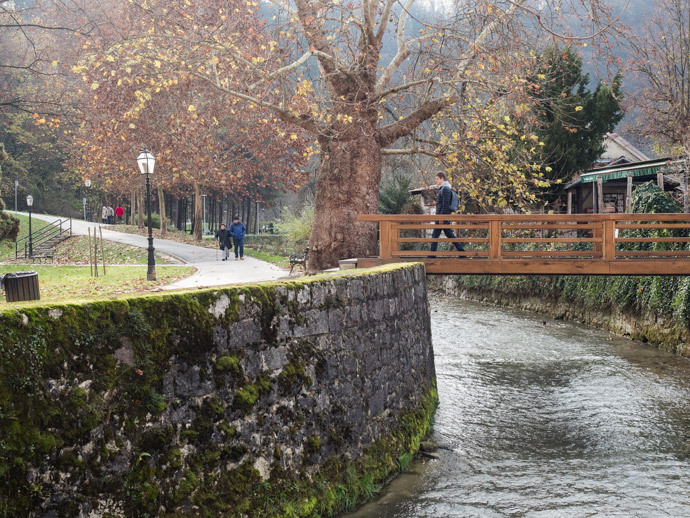 And perhaps one of the most beautiful things to do in Samobor is a walk along the Gradna river. You will see many small bridges crossing it, one of our favourites was Most Grada Velesa. 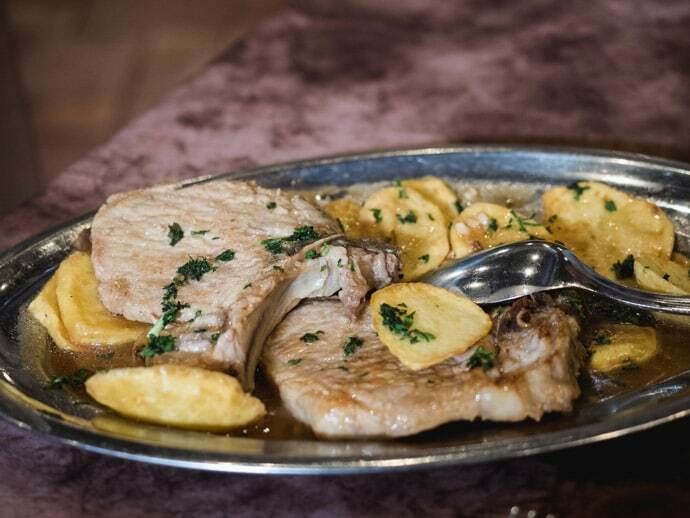 Throughout your day there are a few Samobor food and drink specialities to try. 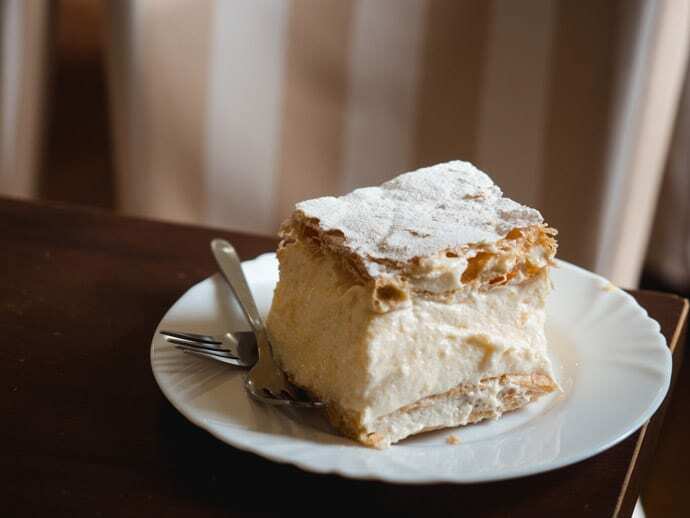 Here they are famous for the Samobor kremšnita, a popular dessert with different varieties in Croatia and neighbouring countries. Kremsnita is a custard cream cake with puff pastry. 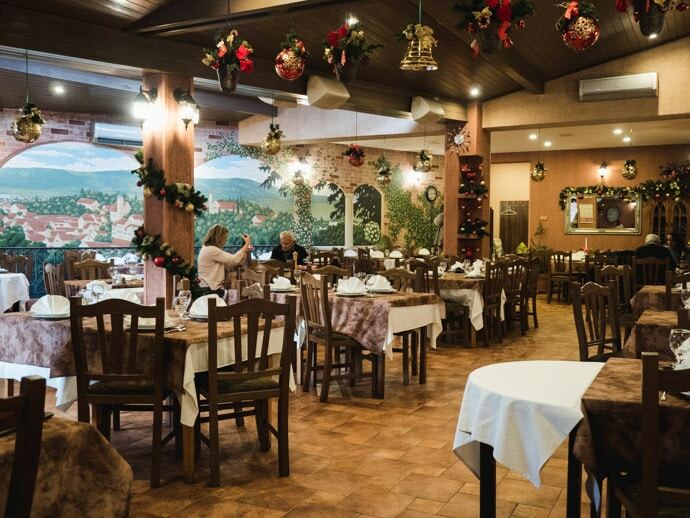 One of the best places to try Samobor Kremsnita is at U Prolazu in King Tomislav Square, where they make it according to the traditional recipe. Here it was very soft, with an extra crispy puff pastry topping. The custard cream almost tasted meringue-like. A delicious pastry to try during your trip to Samobor. A great place for lunch is KRCMA Gabreku 1929. It’s a large but cosy restaurant with really friendly service and delicious food. Here they are known for their mushroom soup, which we loved, especially on such a cold day. We also had a pork cutlet and potatoes, and mushroom and asparagus risotto, all were delicious. 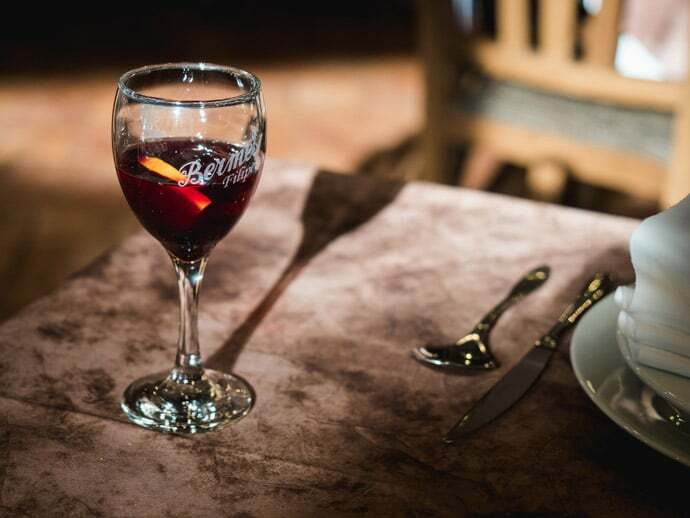 This is a great place to try the bermet, a red aromatic wine made from grapes, wormwood and southern fruit. 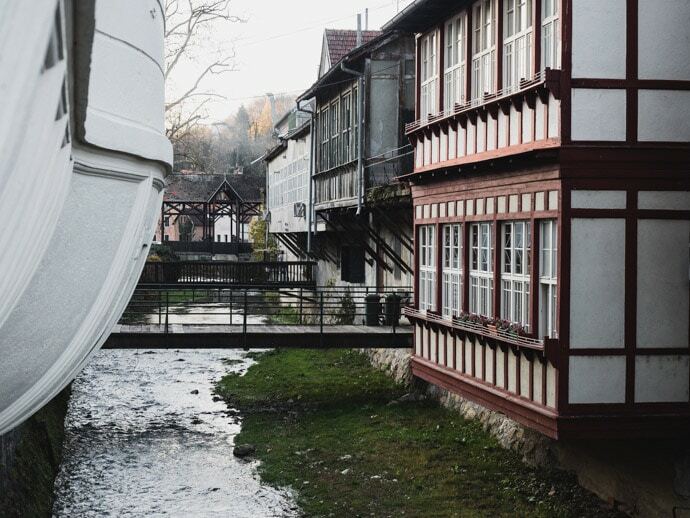 If you want to spend longer in Samobor, here are some of the best places to stay in Samobor. For more information visit the Samobor tourist board.